What are roof gutters? What is its basic function? Well, gutters are designed to channelize rainwater from the roof to the ground so as to avoid any water build-up on the roofs which can in turn damage the roofs. The gutters in a way channelize the water into the drainage system installed on the ground. For a gutter to function smoothly, the gutter downpipes should not be blocked. But it is natural for dried leaves, birds’ nests, and other things to collect within it and thus block it. So, as part of the gutter maintenance, anything that has collected in the gutters and downpipes should be removed and eliminated periodically. And that is why regular gutter cleaning is recommended. 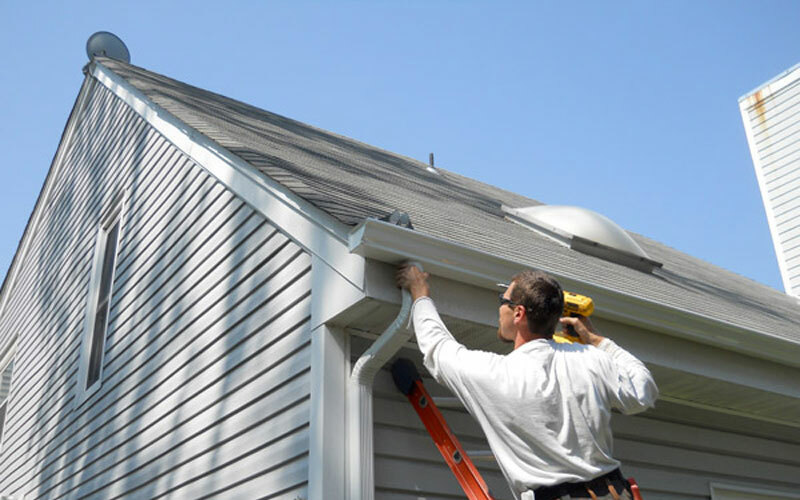 If proper, functional gutters are not installed in any property be it a home or a building, then over time, it can cause damages to the building and its structure too. It is always good engage professionals because we have the experience and also have the latest equipment and gear to take care of the gutter cleaning. And most of all, we have safety protocols in place and we know our way around gutters. And when we carry out gutter cleaning, you can be sure that there won’t be any damages caused to either the guttering systems or your property in general. As part of our gutter cleaning services, on a general level, in addition to cleaning gutters, unblocking clogged or blocked gutters, any repairs, and downpipe repairs are carried out. Further to this, the downpipes are all flushed down so there are no dried leaves or birds’ nests collected inside. Any and all installations related to gutters are carried out and in the event any pipes or other parts need replacements then that too is taken care of by us. Gutter guards or protection is installed by us and repaired and replaced, if need be. Charles Property Services are of the opinion that gutter maintenance should be included in the overall general property maintenance and it should not be compromised or ignored. On a general level, gutter cleaning services are recommended at least once in 6 months. But this is also based on where you are located. If there are a lot of plants and foliage, then the gutter cleaning and maintenance will have to be carried out frequently. And why you may ask? 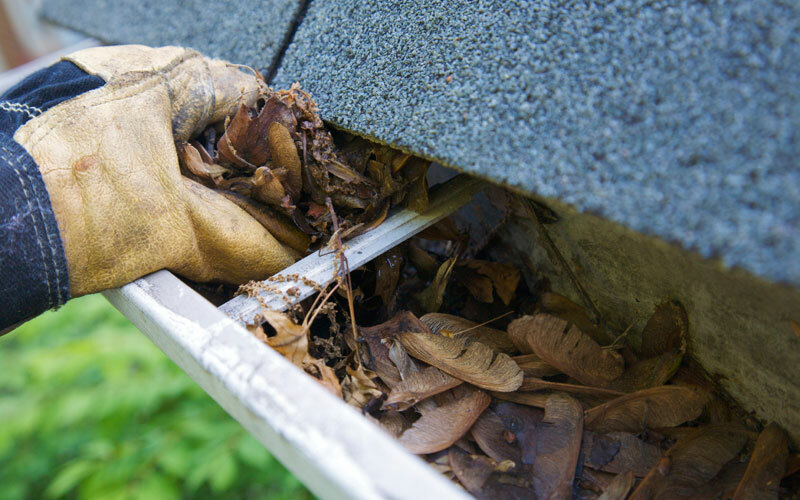 Well, fallen or dried leaves are the biggest causes for gutter or downpipe blocking and these will have to be cleaned and removed periodically. There’s also another side to this, regular cleaning in a way ensures that the gutters will not get damaged too soon. In turn its longevity is assured. Since gutter cleaning and maintenance is a service that has to be undertaken and handled by professionals, leave it to professionals like us to handle it, rather than you attempting to do it on your own. So anytime you need gutter cleaning and maintenance in the Sydney roundabouts, you know who to reach out to, Charles Property Services, of course! Windows cleaning is at times not really given a thought or importance too. And this is because it is a specialized cleaning service and most times, it is not included in the general cleaning maintenance schedule. But like any other cleaning service, regular windows cleaning is recommended for a host of reasons. 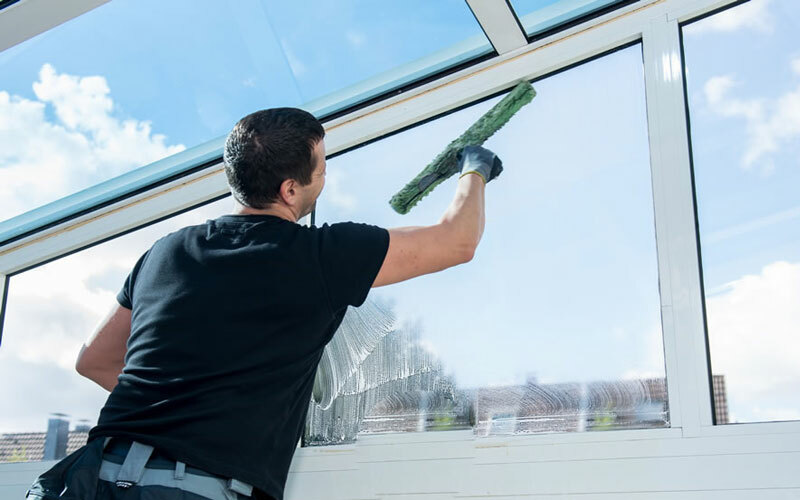 And so to aid you and to carry out any windows cleaning for your home, workplace, or even commercial space, Charles Property Services is more than adept to take care of it for you. We have good experience and the actual knowhow of how windows cleaning have to be undertaken. The approach and the methodology and depending on whether it is windows in your home or a high-rise building, we know exactly how to go about it. We follow all the safety protocols that are to be followed. We have the latest in equipment and also use the best cleaning products to carry out the windows cleaning. And at the end of it all, when you see the sparkling, streak-free, smudge-free windows, you will thank us for sure! Because it is very clear and evident in the thorough and thoughtful services that we offer! If ever you need to engage Charles Property Services for any of our listed services and more, just call us on our number 0477 644 663. Alternatively, you can also write to us on our email ID admin@charlespropertyservices.com.au. 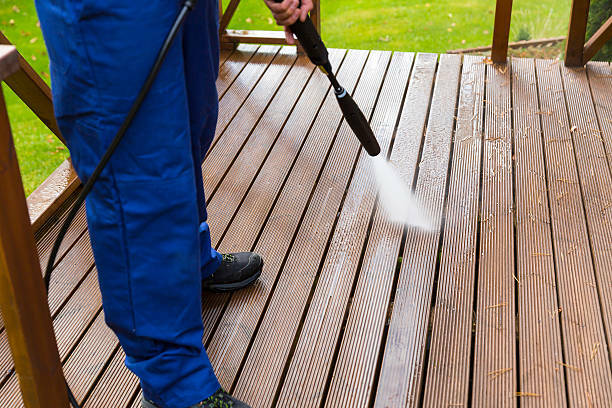 When it comes to high pressure cleaning and washing, its requirement or usage is pretty widespread and this is something we are aware of at Charles Property Services. And that is why we offer end-to-end high pressure cleaning and washing services that cover many service requisites for domestic and commercial customers’. So essentially, what type of high pressure cleaning and washing are you seeking? Do you want your pathways, patio, balcony, roofing, driveway, and outdoor areas to see a good round of high pressure cleaning? Do you want the building exterior, walls, fencing and other exterior surfaces to see a good round of high pressure cleaning? If you want dirt, stains and graffiti removed, are you looking at high pressure cleaning? Well, you have hit the nail on the wall, and yes, Charles Property Services, engages in high pressure cleaning and washing, for all of the above mentioned and more. All that you need is just this, reach out to us, and we will do the rest!